The official school colors of Louisiana State University (LSU) are purple and gold. The colors have been used to represent the university since 1893 and are interestingly connected to Louisiana history. The choice for purple and gold wasn’t only about aesthetics and colors that looked good together. The colors were chosen for the symbolic meanings behind them. The color purple has been associated with royalty for centuries, all the way back to B.C. eras. Garments of purple were worn by aristocratic rulers and spiritual leaders. It was reserved primarily for royalty because of the laborious process and cost of making purple dye. Today, purple is a common color worn by people of all different social and economic standings, but it has continued to be a symbol of royalty and nobility. Because of its connection to royalty, it makes sense that purple was a fitting choice for LSU, a university that wanted to be viewed as one of Louisiana’s top public universities. Purple is also associated with passion, and represents the passion, spirit, and culture of the LSU community and its roots in Louisiana. 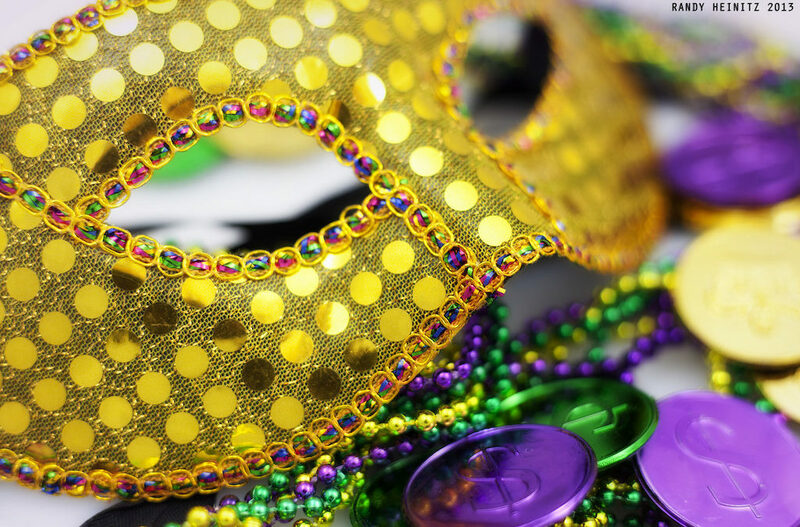 Purple, green, and gold are the iconic colors of the Mardi Gras celebration in New Orleans. To show its ties with Louisiana culture, both purple and gold were chosen to represent the school. As mentioned in the meaning behind LSU purple, the choice of gold was also inspired by the Mardi Gras colors of purple, gold, and green. Mardi Gras is a tradition rooted in Louisiana’s French culture. Celebrations of the holiday date all they way back to the early 1700s. During the holiday, purple, gold, and green beaded necklaces and attire are worn, the colors representing justice, faith, and power, respectively. LSU’s many community outreach initiatives also demonstrate their dedication to the local area. Gold also symbolizes excellence and achievement, as in receiving a gold medal or a gold star for commendable performance. LSU strives for excellence at every level of academics and athletics. They have a number one ranked architecture program and a top 10 ranked law program. Their athletic teams compete in one of the nation’s most competitive conferences, the Southeastern Conference (SEC), with an impressive championship history. The LSU logo can only appear in the official LSU purple and gold. Using the precise color matches is important in order to maintain consistency across all mentions of LSU. The same goes for other official LSU materials, such as banners, posters, and athletic uniforms. To get the colors just right, specific hex and HTML color codes have been designated. The Division of Strategic Communications provides the official LSU color codes for print and digital productions, along with a complete style guide for font selections and editorial concerns. LSU logos are the most recognizable elements of the LSU brand. They are used to represent LSU’s academics, achievements, involvement, and athletics to audiences all around the world. The LSU Division of Strategic Communications and Office of Trademark Licensing manage the use and distribution of LSU logos. The academic logo consists of the LSU letters in the color purple and block-style font. The athletic logos feature the image of the school mascot, Mike the Tiger. You can view the logos and usage guidelines on the Division of Strategic Communications website. Next time you see an LSU logo or sport LSU purple and gold attire at a football game, you can do so knowing the significance and history behind the colors. Share the history of LSU purple and gold with another Tigers fan!